Pink Plumbing & Sewers is licensed specifically to work on commercial plumbing. Whether your business has one or multiple office locations, our highly qualified plumbing techs are here for your specific needs. Give us a call any time day or night – 602 529 2701 – for fast repairs on drainage, faucet, water or leakage problems. For any problem with your plumbing or sewage, call Pink Plumbing & Sewer. With Pink Plumbing you can always expect timeliness as well as professionalism. Our superb quality is what gives our customers great pride in our work. For your commercial plumbing needs we combine our talent with the newest technology: if there is an unknown problem with the sewer line, we will send a video inspection line to locate the problem. High pressure hydro-jetting services are another one of our specialties. The goal with our techniques is to fix your commercial plumbing and sewage problems and get you and your business or home back on track as quickly as possible. From video inspection lines to installation of new lines, Pink Plumbing & Sewer has the highest quality of service at your commercial plumbing disposal. Our plumbers are expert at tankless water heaters and any water heater repair or installation. Gas leaks can be hazardous. Call us today if you have a gas leak and need repairs or new gas lines. If you need help detecting a leak, or fixing one, call us today. 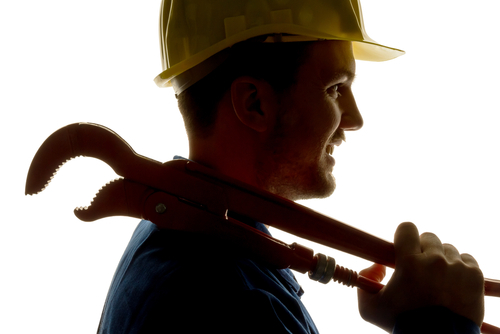 Our expert technicians can handle any pipe leak or repair that you my need. Hydro jetting is a way to clean plumbing/sewage lines without having to evacuate them. Call us today to learn more.